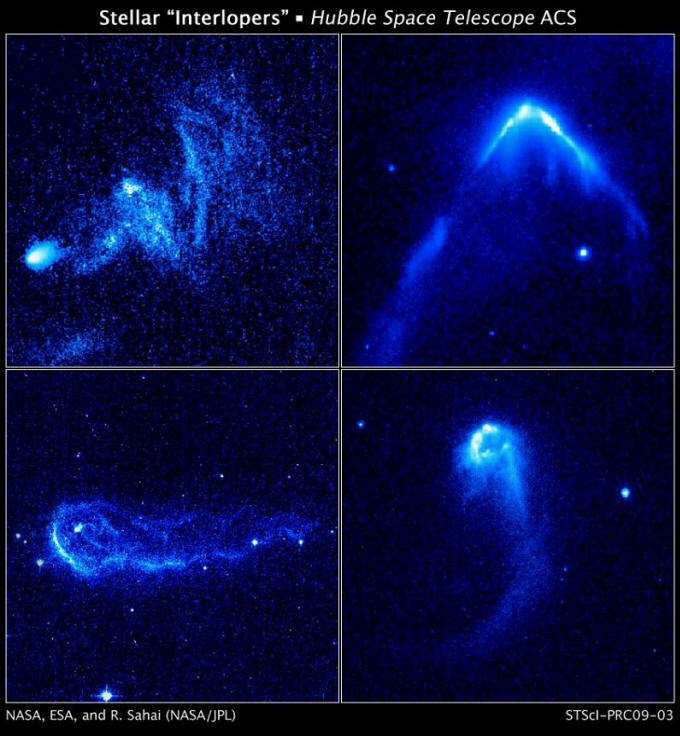 Putative stellar "bow shocks." Credit: NASA, ESA, and R. Sahai, JPL. 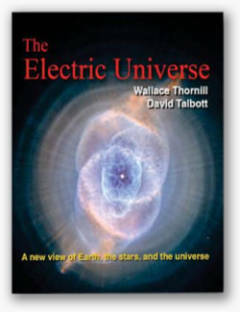 Part 1 described the first kind of electric star, the anodic star, formed at the focus of a z-pinch. The sheath around such a star would have the shape of an hourglass, as is seen in planetary nebulae. Recent observations of energetic neutral atoms indicate that the Sun’s sheath also has such a shape. What about the observations of comet-like stars? These are seen in the tangled high-energy “short-circuit” discharges of so-called star-forming regions. If a star that has a lower positive charge (with respect to the galactic plasma) enters the sheath of a second star that has a higher positive charge, the first star will lose its interaction with the galactic plasma and begin to interact with the plasma inside the second star’s sheath. The first star will now have a negative charge with respect to the second. It will become a cathodic star and behave as do other negatively charged bodies in an anode sheath, such as comets. It will develop a coma and a tail. This is the second kind of electric star. Furthermore, it will no longer be subjected to the strong electromagnetic forces of a z-pinch. Most of the voltage difference between a star and the galactic plasma is contained within the double layers of the sheath. Inside the second star's sheath, in what corresponds to the positive column of a discharge tube, the electric field is small. Gravity may become the dominant force. 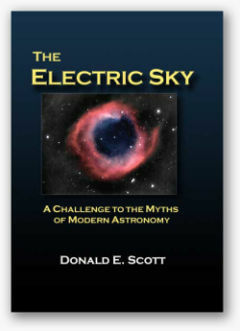 However, the weak electric field and the cometary discharge of the first star combine to aid capture and stabilization. The first star begins to orbit the second, becoming a binary companion or a gas giant planet. First, stars are only tiny sparks in the immensity of space. For example, at a scale of one inch to one astronomical unit (the distance of the Earth from the Sun), the nearest star would be four miles away and the Sun would be the size of a dust mote, about a hundredth of an inch. The chance of intersecting orbits is insignificant. Second, if the orbits did intersect, they would be apt to do so at significant angles to each other. Relative velocities would be large. Near-collision orbits would be hyperbolic, and the two stars would zip past each other with little interaction, never to return. If one actually scored a bull’s-eye hit on the other, one or both bodies would be destroyed. Third, if the orbits touched each other tangentially, relative velocities would be low, but gravity would act to perturb the orbits for less interaction, not for capture. 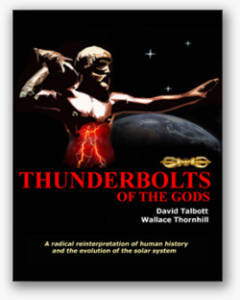 If electrical capture is common, it lends credibility to such Saturnist models of the recent history of the Solar system as that described by Dwardu Cardona in his book God Star and its two sequels. The body that became Saturn was a brown dwarf star moving alone in the galaxy with Venus, Mars, and Earth held in the axial jet above its pole—a low-energy counterpart of Herbig-Haro stars. It was drawn toward the Sun along the same galactic current. When it entered the Sun’s sheath, the electrical readjustment caused flaring and the disruption of the axial alignment of planets. Proto-Saturn lost its stellar radiance and its planets, and the bodies soon settled into quasi-stable orbits among the rest of the Sun’s planets.